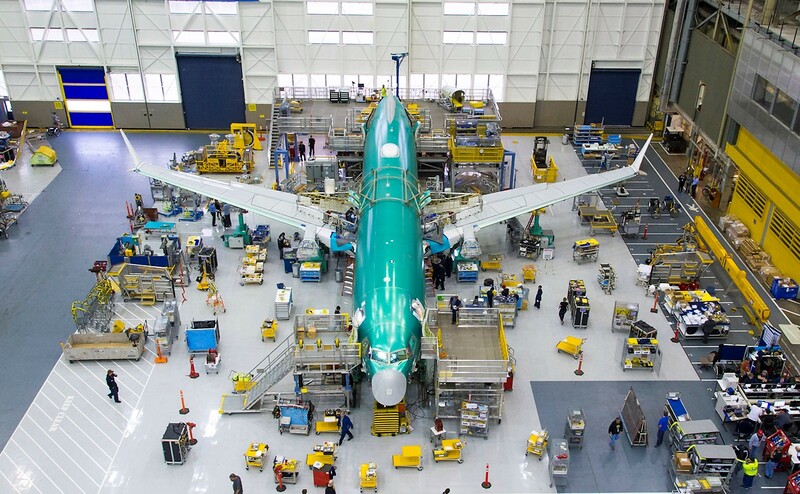 Boeing will reduce its monthly production rate for its single-aisle 737 jets from 52 to 42, starting in mid-April, CEO Dennis Muilenburg said today. In a statement, Muilenburg said he’s also asked the company’s board of directors to establish an internal committee to review Boeing’s policies and processes for airplane design and development. The moves come in the wake of this week’s preliminary findings from an investigation into the March 10 crash of an Ethiopian Airlines 737 MAX 8 plane that killed all 157 people on board. Less than five months earlier, a similar Lion Air 737 MAX crash in Indonesia killed 189 people. Those two incidents led to a worldwide suspension in 737 MAX flights. This entry was posted in GeekWire and tagged 737 MAX, Aviation, Boeing, Ethiopia, Technology, Transportation. Bookmark the permalink.